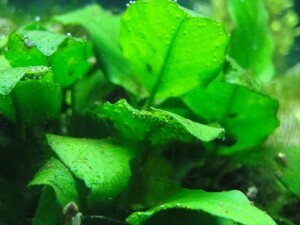 Aqua Botanic's Aqua Bloggin » Setting up a Walstad Natural Planted Tank. Setting up a Walstad Natural Planted Tank. In her book, Ecology of the Planted Aquarium: A Practical Manual and Scientific Treatise for the Home Aquarist, Diana Walstad says the goal is to set up an ecosystem where “plants and fish balance each other’s needs”. In this type of tank, the plants are the water purifiers rather than the usual filters. Rather than converting ammonia to nitrAte, plants convert ammonia to plant mass, so there’s no buildup of nitrate and pH doesn’t drop over time. Plants also remove heavy metals from the water. Fish food, mulm and micronutrients from the soil feed the plants. Fish and bacteria produce carbon dioxide for the plants and the plants help produce oxygen for the fish. Only moderate lighting combined with sunlight is needed. 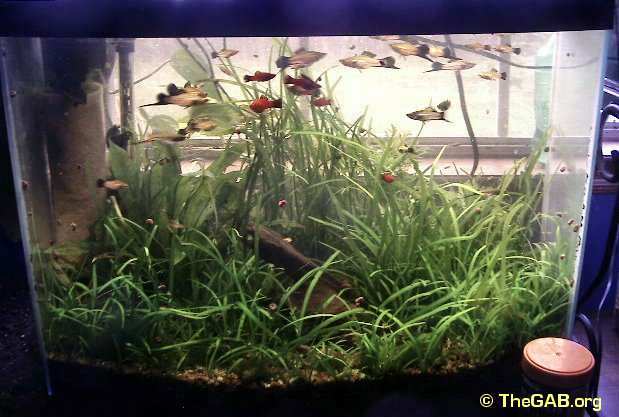 A Walstad-type natural planted tank is low maintenance requiring only pruning of plants and infrequent partial water changes.My 29 gallon bowfront pictured above, was set up as a natural planted tank in January, 2005, this is what it looked like eight months later. The substrate is an inch of topsoil amended with crushed oyster shell, covered by an inch of small gravel. Plants include pygmy chain swords, sagittaria subulata, an amazon sword, and hygrophilia difformis (wysteria). 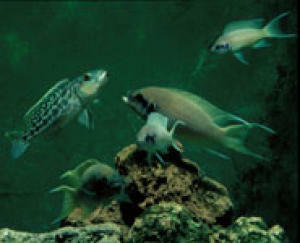 Inhabitants include swordtails, Endler’s Livebearers, a clown pleco, ramshorn and pond snails. Lighting is sunlight from a south window and 40 watts of 6500K compact fluorescent light. One to 1.5 inches of unsterilized garden soil, potting soil or topsoil with 1 to 1.5 inches of 2-4mm gravel on top. Don’t use subsoils or clay soils from areas near brackish water. If the soil is acidic, you can use powdered dolomite lime mixed in. If you have soft water add pelleted dolomite lime, or crushed shells to gradually increase the level of hard water nutrients over time. She recommends not adding peat or fertilizers (including manure). Adding a small amount of well-decayed organic matter/compost is fine. You may want to set up a bottle test to see how much the soil yellows the water. Add a layer of soil and cover it with a layer of gravel and then add water being careful not to disturb the soil. Then let it sit for several weeks. Some soils leach more than others. When using bagged soil, it would be a good idea to spread it in a thin layer and let it air out over night to gas out ammonia. Use lots of different plants, some of which will eventually grow emergent. Use floating plants too. Generally cheaper plants are easier to grow. Diana says you can immediately moderately stock the tank. (Keep an eye on ammonia, because I’ve had soil that immediately cycled a tank and other soil that took a month to be habitable.) Avoid plant eaters or fish that dig in the substrate. 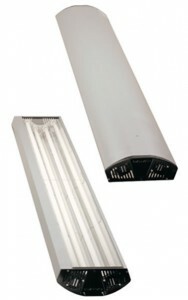 Diana prefers a mix of sunlight and fluorescent lighting–one to two watts per gallon if the tank does not receive sunlight, less if the tank receives sunlight. She likes to use a combination of cool white and plant grow light fluorescent bulbs. Avoid tanks taller than 18 inches unless the tank will receive sunlight. She recommends a timer set to 10-14 hours of light per day. Her book says that all you need is water movement, though these days, Diana recommends using mechanical filtration as well. A power head with a pre-filter works fine. 50% every 6 months, or if fish or plants look unhappy. Mulm feeds the plants. only if the fish are piping/gasping in the early morning hours. snails are good for cleaning plant leaves and speeding up the decomposition process (that provides nutrients and CO2 for plants). She recommends water hardness of > 7dh. Add one inch of topsoil and amend with crushed shells, mix well and smooth. Add just enough water to wet the soil. Then add a layer of gravel around the edges of the tank. Set each plant and add gravel around it. After you have all the plants in, fill in with gravel until you have an one to 1.5 inches of gravel. Place a plate or shallow dish on the bottom of the aquarium and carefully add water. If the water is cloudy after you have three or four inches of water in the tank, syphon it out and refill. Diana usually adds fish immediately, but I like to wait and check the water parameters the next day to make sure the soil isn’t releasing ammonia. Here is a step by step pictoral guide to setting up a Walstad-type natural planted tank. Posted in The Low Tech Plant Tank. CO2 / KH / pH table. ©Copyright 2010 AquaBotanic, All Rights Reserved.